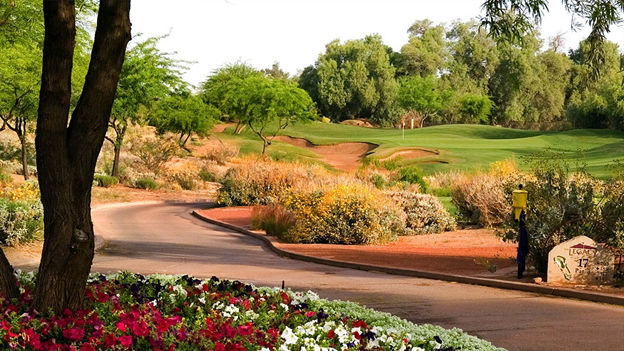 Named the "Top Public Course in Phoenix"
Named one of the "Top 10 Golf Courses To Play in Phoenix" by Golf Digest, the Legacy Golf Resort is the former setting of Dwight B. Heard's 7,500-acre ranch from the early 1900's. Our Phoenix golf resort is rich in heritage and history, the legacy has taken great pride in preserving the remaining structures and monuments along its 18-hole championship golf course, giving golfers an added opportunity to experience a taste of Arizona history and the Heard legacy. The Legacy was also the host site for the 2000 LPGA Standard Register Ping Classic, won by Charlotta Sorenstam. Designed by renowned golf course architect Gary Panks, The Legacy Golf course's lush green fairways, forgiving rough, well-placed hazards and manicured greens offer a challenge for golfers of all skill levels. Indigenous grasses, flowers, shrubs and trees surround the rolling terrain. Its elevation provides exceptional views of Camelback Mountain, Squaw Peak and the downtown Phoenix skyline. Our Phoenix golf resort pro shop features designer men's and women's apparel, exclusive gifts, equipment and accessories. The Legacy Golf Resort also offers a full-service practice facility, tournament coordination, and private and group instruction. Come & play our new executive course at The Legacy Golf Resort! The Legacy Golf Course will be closed for overseeding from October 15 through October 30, 2013. It will reopen on October 31, 2013 and will be cart path only for an additional 4 - 6 weeks to prevent damage to the new grass. The Legacy Golf Resort offers 328 beautifully appointed luxury guest suites housed in 12 separate buildings. Decorated in Spanish mission-style with rich wood cabinetry and earth-toned fabrics, each suite features a full kitchen or kitchenette, spacious living & dining area, a washer and dryer, spacious baths (some with jetted tubs), and either a balcony or patio overlooking lush tropical courtyards. The Legacy Golf Resort's studio suites combine relaxed charm and modern comfort. 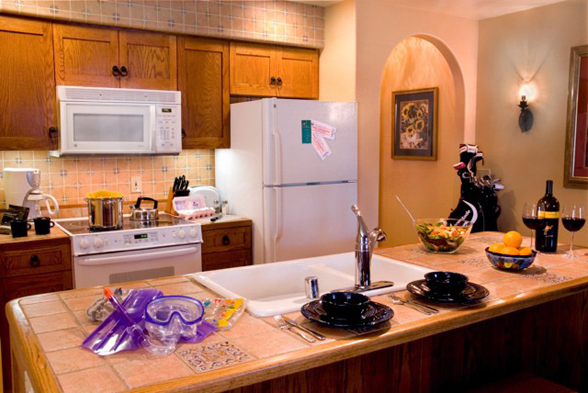 Each of our Phoenix suites offers 419 square feet of living space with a king bed and sofa bed, two person dinette set, fully equipped kitchenette, refrigerator, dishwasher, and washer and dryer. The studio suite has a partial living room area and a furnished patio or balcony. Each suite has individual climate control, dual-line telephone with voice mail, and complimentary wireless Internet. The Legacy Golf Resort's spacious one-bedroom condominiums are designed for comfort and casual elegance-the perfect Arizona lodging. The 827-square-foot living space in the one-bedroom condo includes a fully equipped kitchen with full-size refrigerator, island with dual sink and two stools, dishwasher, and a washer/dryer. The condo has a full size living room with an entertainment center and sofa bed. Your condo has a full dining room that includes a dining table that seats up to six people. The condo has a separate bedroom with a King size bed and master bath with a Jacuzzi tub. All condos include a fully furnished balcony or patio. Each condo has individual climate control, dual-line telephone with voice mail, and complimentary wireless Internet. Two-bedroom condos consist of a studio suite and a one-bedroom condo combined. They offer 1,257 square feet of generous living space with two living rooms, two private balconies or patios, and two lavish baths. Combined bath areas offer a shower-tub, a jetted tub and walk-in marble shower. With full kitchens, dining service for ten, multiple DVD/CD players along with a 32” TV and DVD player in the main living room and 27” TVs in each bedroom, the suites embody resort-style living at its fullest. The Legacy Golf Resort spa is an exclusive Phoenix resort spa, offering many fine spa services for our guests. Please look over our spa menu below. There is sure to be something perfect to make your Phoenix getaway even better. Gift Certificates are also available. Call (602) 305-5560 to schedule your appointment at the best of Phoenix luxury spas today! Swedish Massage - Traditional massage utilizing a combination of movements including long strokes and kneading. Circulation is improved while promoting relaxation and stress relief. Excellent for first timers and those who prefer light to medium pressure. Therapeutic Massage - Perfect for those with minor aches and pains that require more of a medium to deep pressure. A variety of Swedish and Myotherapy movements are used. Circulation is improved while resolving some of the tension areas. 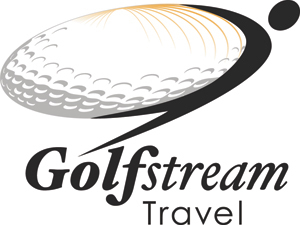 Golfer's Massage - A golf performance massage is a therapeutic massage with focus on the main groups of muscles used during the golf swing. Our golfer's massage is designed for both men and women. If you are looking to improve your golf game and prevent injury, this is for you. Enjoy sweeping views of the golf course and South Mountain from the The Grille at The Legacy Golf Club inside the resort clubhouse. Open for breakfast, lunch and dinner with a hearty weekend breakfast buffet, The Grille at The Legacy Golf Club is a Phoenix fine dining experience popular with locals and travelers alike. The Grille at The Legacy Golf Club is a "must taste experience," offering a great selection of traditional American favorites, prepared with simple and classic ingredients. Start off with a selection from our breakfast menu that will energize your day. The lunch menu offers hearty salads, sandwiches, and an array of our Chef's specialties. The dinner menu features food designed to make you feel at home, featuring pasta, seafood, chicken, dinner specialties and indulgent desserts. The Grille at The Legacy Golf Club offers indoor and patio dining, ensuring every seat enjoys sweeping views of the mountains or golf course. So dine where the family meal is still considered an important part of every day. 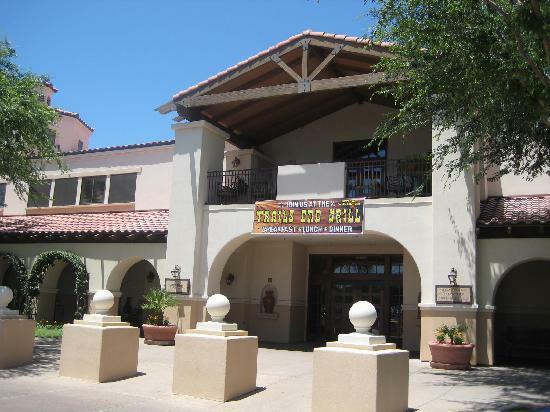 And don't forget our Phoenix sports bar - the engaging other side of The Grille at The Legacy Golf Club. Breakfast is served from 6:00 a.m. to 11:00 a.m. Lunch is served from 11:00 a.m. to 2:00 p.m.
Dinner is served from 5:00 p.m. to 9:00 p.m.
Bar menu is available from 2:00 p.m. to 9:00 p.m. The Grille at The Legacy Golf Club is open seven days a week. The history of The Legacy Golf Resort? A rich history of the Old West. A challenging and engaging golf course. An oasis of green at the base of Phoenix’s scenic and well-known South Mountain. Stories of President Teddy Roosevelt and Pancho Villa visiting the historic bunkhouse that is grandly preserved on the golf course’s first tee. A friendly, welcoming resort with a passion for service. 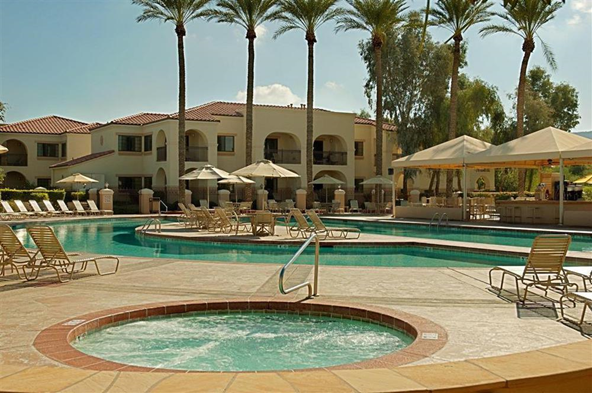 The Legacy's 328 spacious suites, 18-hole championship golf course, sparkling pool and deluxe health club, coupled with an endless variety of recreational activities amidst an inviting resort community, make The Legacy the perfect Phoenix Arizona Resort. 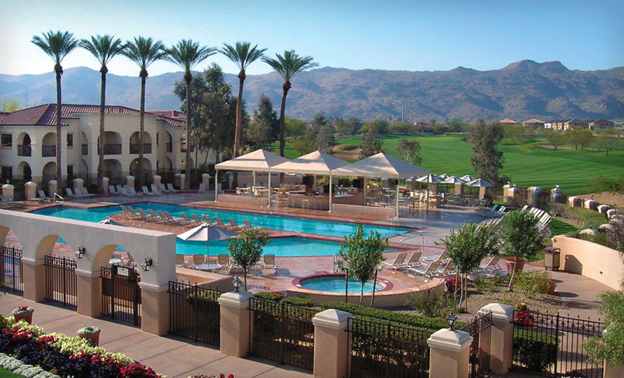 The Legacy Golf Resort's close proximity to Phoenix Sky Harbor International Airport, downtown Phoenix, and the Valley's major sporting venues, makes it an ideal destination for a family vacation, business trip or weekend getaway.